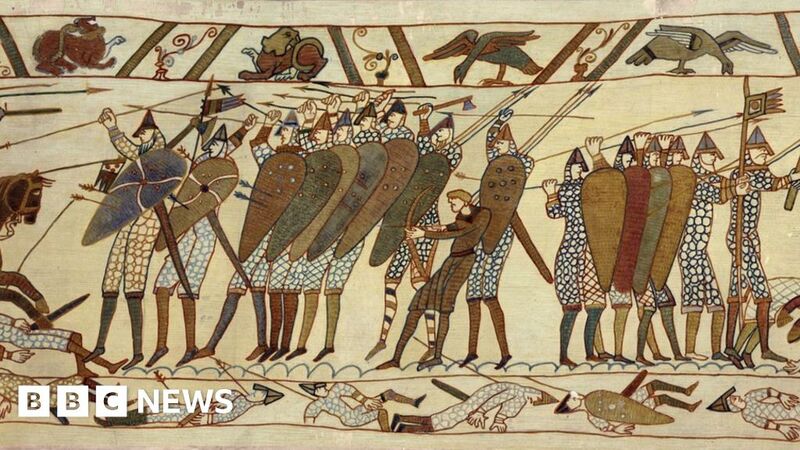 Do you remember the Bayeux Tapestry from your school days? It’s heading back to the UK soon. Maybe you could take your kids to see it! And really it’s quite often that something you learned about at school pops up in the news. Are your children inspired by what they’re learning at school, and how it connects to the world around them? These days I find history fascinating, particularly how it continues to affect what happens in the world today. As a child though, I often found it boring and irrelevant. It was very hard to motivate myself to study and learn for exams. Was that inevitable? Was I just not very good at history? I used to think so. As a teacher myself, now I realise that I had a poor teacher with no imagination and no rapport with us. And unfortunately lots of kids don’t always cope or recover from something like a poor teacher, or a newly qualified teacher. A bout of absence due to of illness, or poor class discipline, or a slight learning difficulty that doesn’t warrant intervention or a host of other things can leave your child with a block or dislike for a topic. This can follow them into adult life. I have met parents whose dislike of the whole of school negatively affected their children’s performance in school. Your consistent involvement in your child’s learning is the single, most important factor that will affect the outcome of your child’s schooling, whatever is important to you – whether that it academic achievement or social conscience or personal relationships. I urge you to not let your kid’s education just happen, but to be responsible for shaping it. And one thing that can make a huge difference? Enrol your child in after school tuition. The most important reason is that class sizes in most state schools are too big. Bear in mind that when educationalists refer to teacher: pupil ratio, most schools count qualified ‘instructional staff’ as teachers and this may include librarians, speech therapists and other specialists, so that the ratio quoted will not necessarily be your child’s class size. Do the government ministers who are setting our schools’ policies have personal experience to draw from? The average class size in private schools seems to be between16 and 24, each often with Teaching Assistants in addition to the teacher. The discussion on ‘mumsnet’ indicate that class size is often a major factor when you choose a school for your child. At Oxford Education Centres, your child will have the opportunity to be the focus of the teacher’s time and attention rather than being lost in the crowd. Children often forge friendships in their lessons here, without any need to compromise educational goals by attempting to meet social needs at the same time, as is so often true in schools. The lesson time is used by qualified, experienced teachers to focus on identifying your child’s needs. These could be stimulating and inspiring a special talent or enthusiasm for a particular area of learning, honing and speeding up their skills, filling a gap or working on an identified weakness, or block. This cannot but help develop self-confidence as the more intimate atmosphere encourages the question or request for help from even the most timid child who may find the public arena of the average classroom intimidating. This confidence can lead to joy in learning and greater responsibility for their own learning as they grow to trust their tutor as well as their own abilities. At the right time in their education. Our centre is buzzing with families who really value education. They realise that the window of opportunity for effective intervention is brief and they want to make the most of it, to make a life-long difference. So, are you feeling at a loss as to how to help your child reach their full potential? Are you becoming aware of the levelling down that inevitably happens in large school classes? Get in touch to arrange an informal visit to our centre and see for yourself.